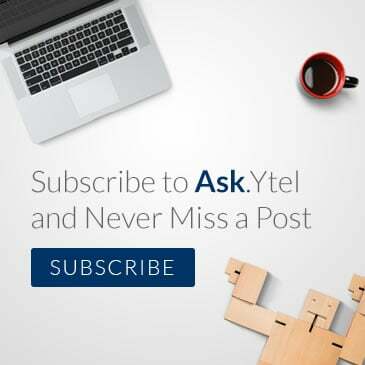 It's no secret that at Ytel we're a bunch of gadget and tech nerds... Nerdy and proud! The holidays are here which means that shopping and gift-giving are in full swing, so we decided to put together a holiday wish list of some awesome gadgets that the tech-lovers in your life will surely love and use all year long. Happy shopping! 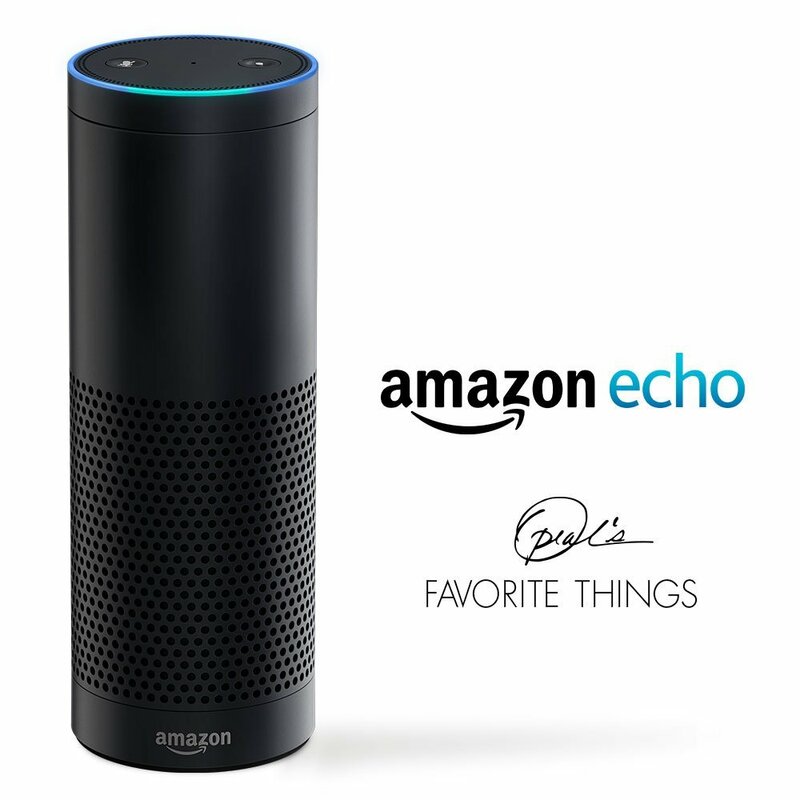 First up is the Amazon Echo, an insanely cool device used in the home to help make life easier. You can use the Echo, with Alexa (the cloud-based voice service) to answer questions, play music, set reminders, make lists, and much more. Music streams from a Pandora integration, there is Google Calendar access, live sports scores, weather updates... the Echo does it all. Coming in at $179.99, this is the perfect gift for the smart home and connected device fanatic in your life. 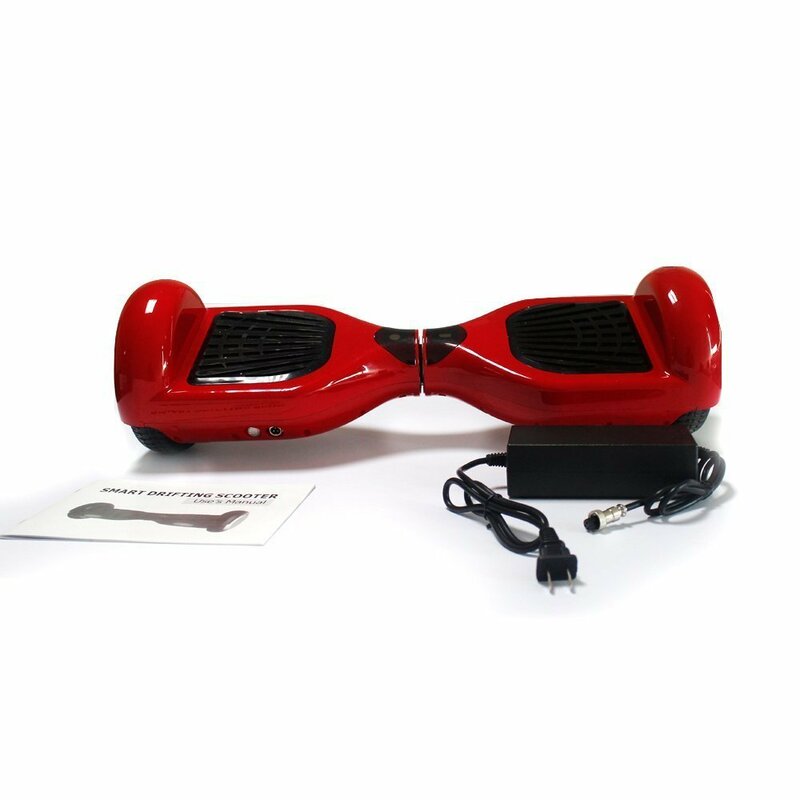 Next up is the KUTU Two Wheels Smart Balancing Scooter! For the thrill seeker on your shopping list, this smart scooter will take them on all sorts of adventures. Safety assurance includes four intelligent security protection functions like anti-fall protection and speed limit protection. In our eyes, this is more than worth the $399.99 price tag. 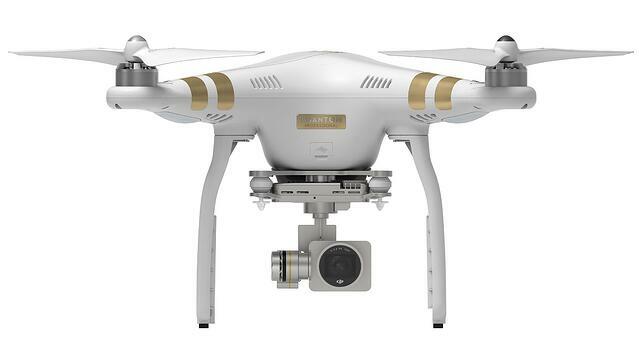 DJI Phantom 3 Drone is the biggest investment piece on our list at $1,198, but is easily the most fun! Drones aren't the future -- they're the now. There is even a DJI Pilot app for iOS and Android that allows live viewing and complete camera control. Pick up a 10-foot Charging Cable with Weighted Knot to eliminate the hassle of struggling to use your Smartphone while it's on the charger. Gone are the days where you have to fumble for the right cord or strain to use your device while it's plugged in. 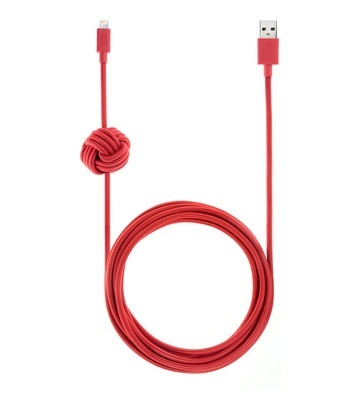 The 10-foot cable allows you some space to actually hold your phone and use it with ease. The durable braided nylon is easy to grip and locate amongst the mess of other cables and cords. Listed at $39.99. 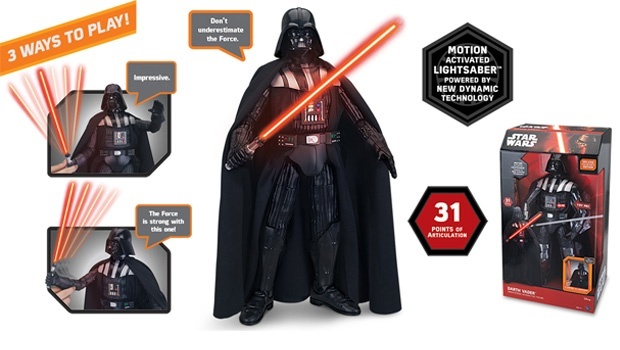 How about an Animatronic Star Wars Interactive Figure for the Star Wars fanatic on your list? Young or old, this figure is an awesome gift for any age range! Figures include Darth Vader, Chewbacca, Storm Trooper, C3PO, and R2D2! All figures interact with their users, have battle and light sound effects that feel like you're in combat with them! $99.99 at Toys'R'Us. Got any great gift suggestions for us? We'd love to hear. 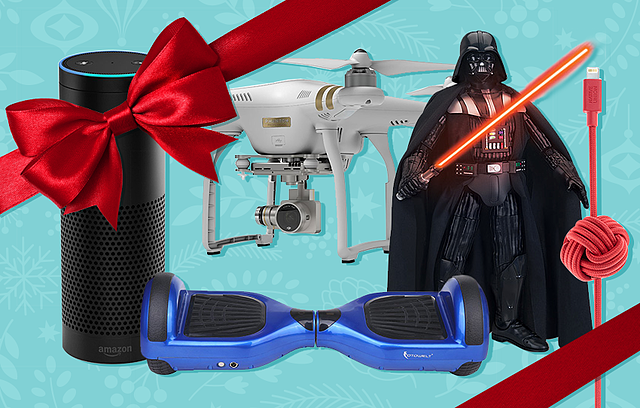 Leave us a comment below with what's on your tech wish list!